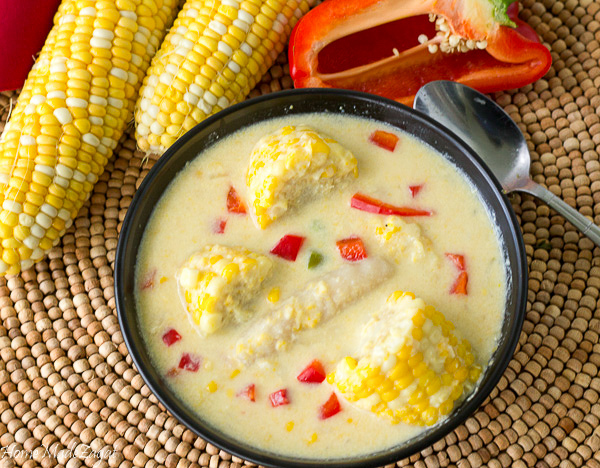 A quick creamy soup, packed with corn, perfect for both hot and cold weather. Happy day after 4th!! I hope you had an enjoyable time with your family for the holidays. It's been such a gloomy weekend here in Florida for the past few days. Rain, rain and more rain. Then 10 minutes later the sun would be out shining brightly and heat levels back to 100 degrees. South Florida has the most bipolar weather ever. So with the rain and the gloom, this corn soup was much needed on Saturday when I made it. 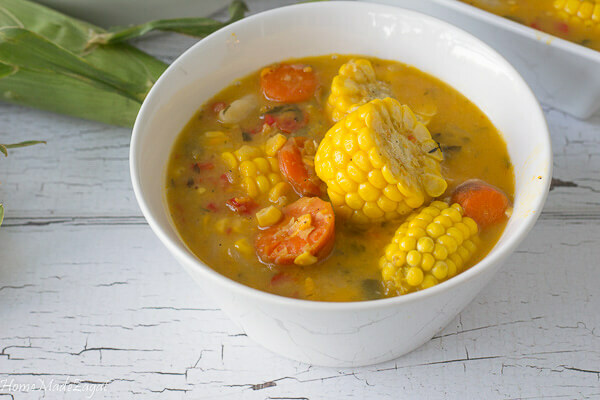 This version of this soup is ram packed with corn in different forms is quick, easy and packed with flavor. The weather was not the only thing that had me pretty gloomy this weekend. 4th of July also, unfortunately, marks the anniversary of the death of a coworker who we loved dearly. This soup has no connection to our dear Edgar whatsoever. He was Brazilian and loved to eat Colombian food. My first try at Colombian food was with him at a little restaurant close to work. We have an hour lunch and Edgar would order enough food to feed an army. "We don't have all that time bruh" and he would just laugh and say "relax, we can enjoy it." He loved life so much. Always laughing, smiling, encouraging. Always seeing the good in every situation, never stressing. So remembering him this weekend, brought out not only sad feelings of him being missed but the good memories of the happy times we did have together. This soup was an additional comfort to get through the weekend. 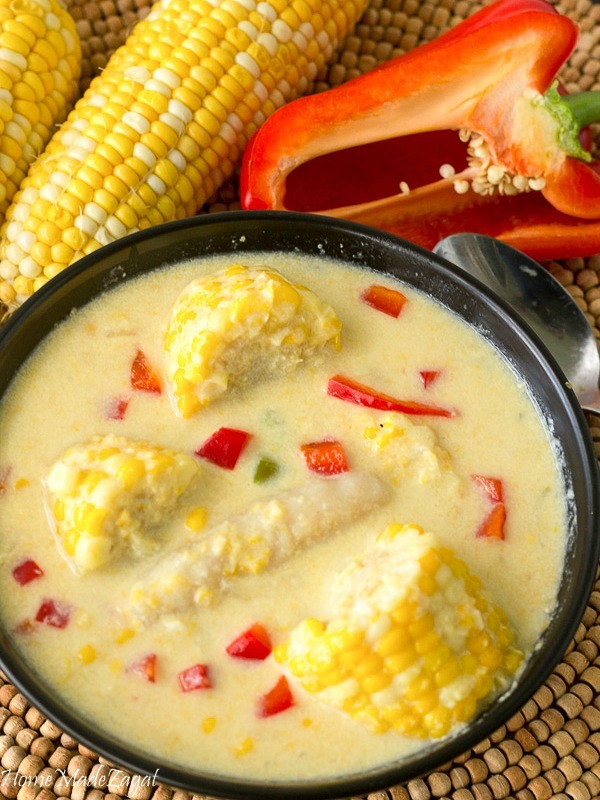 Corn soup is a quintessential Trinidad and Tobago dish. It's one of our main streetfoods, sold in styrofoam cups after fetes and very popular at limes. It helps easily for those "too much alcohol" moments to sober up before you head on your way. Did I mention Edgar loved to drink? In our chat today remembering him, everybody said they needed to go have a Sam Adam's Boston Lager in his name. 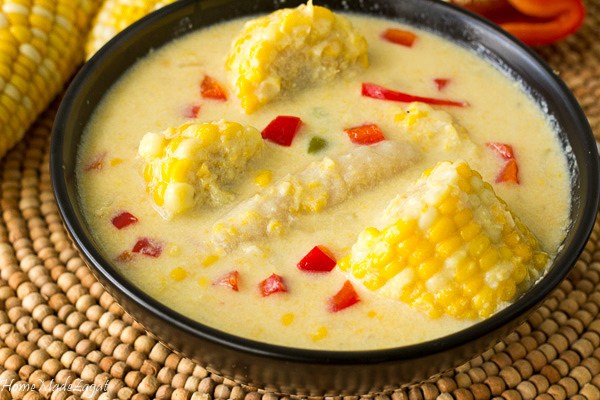 Traditionally, corn soup is usually made with split peas as the base. When using split peas to make corn soup some work is required, as we need the peas to get tender before it starts making the base. I think the long process of this makes the flavors of this soup smokey and amazing. 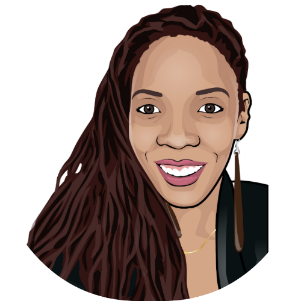 Sometimes though you don't have all the time so this quick version makes a great substitute. It's rammed up with corn, sweet peppers and of course dumplings. 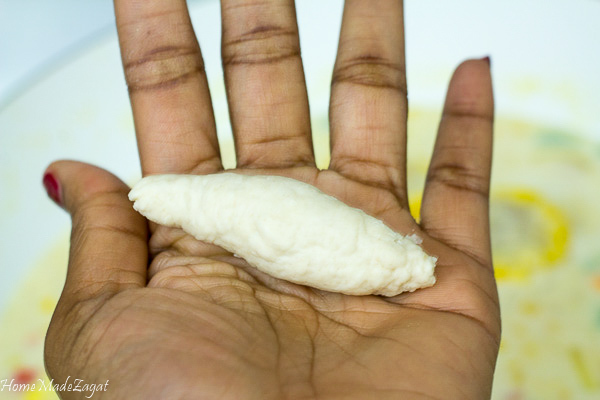 You can use cream of corn or fresh corn, whichever you have on hand. Fresh corn will need to take the kernels off the cob. And the next thing I cannot leave out of my corn soup is dumplings. Soup dumplings. You know the ones that you just rub in between your hands and just drop in the pot? I was so happy to dive into this soup. I had a couple bowls in one sitting. It helped to warm the gloom up as I reminisced. It's difficult losing a friend/loved one, especially suddenly and unexpectedly. He was such the glue on our team that I don't feel like we have gotten into a seamless groove since his passing. I have learned to appreciate not only people around me more but life in general. I feel like you really never know what is going to happen next so enjoy right now. As Edgar did!! So here's to good food, good memories and cherishing people and life in the moment. Sleep in peace my friend!! 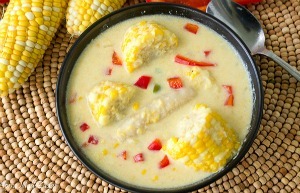 A simpler creamy version of the traditional Trinidadian soup made of s base of corn. Perfect for hot and cold temperatures. 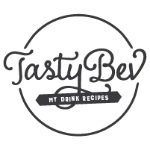 Looking for the more traditional method of making Corn Soup?